A 23-metre vessel was found at the bottom of the Black Sea, in what archaeologists believe to be the world’s oldest intact shipwreck, having lain there undisturbed for more than 2,400 years, The Guardian reported. The lack of oxygen at that depth most likely preserved it, according to the researchers. The ‘Siren Vase’ in the British Museum: the shipwreck is believed to be a vessel similar to that shown bearing Odysseus. Photograph: Werner Forman/UIG via Getty Images. 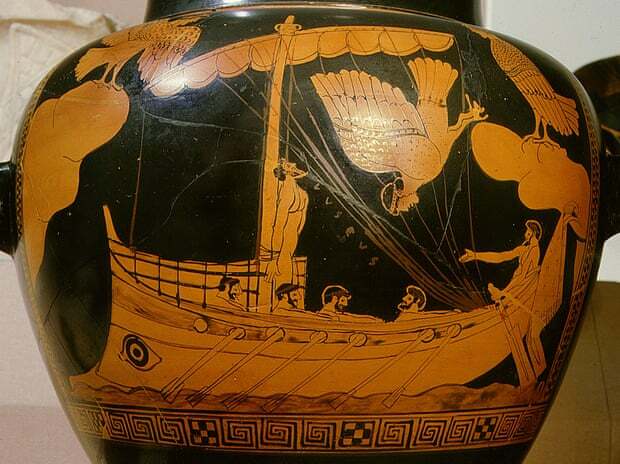 The same type of ship has only ever been seen “on the side of ancient Greek pottery (dating back to the same period) such as the ‘Siren Vase’ in the British Museum,” the researchers said, who added that it was most likely used as a trading vessel. Historically, the Black Sea has been an important trade route between Europe and Asia, particularly in the ancient world, according to History.com. Those interested in the discovery can learn more about it at the Black Sea MAP conference, set to take place at the Wellcome Collection in London later this week.